There is no free market for energy. Here are 3 numbers you need to remember. 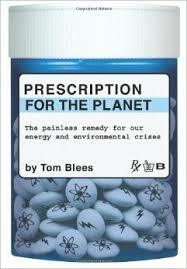 * $500 billion dollars a year is the global annual subsidy level for fossil fuels. This means that there is no such thing as a ‘free marketplace’ for energy. Fossil fuel energy is largely socialist energy. Insisting we must defend coal or oil or gas on the grounds that we’ve got to save the ‘free marketplace’ of energy is naive in that unattractive Peter Pan manner that pouts “I want to be a boy, and have fun!” Sorry. There is no free market for energy. That game is over. * 7 million deaths a year. What impact does that have on economies? That’s a nation larger than Libya choking to death each year! But this is an ‘externalised cost’. Enough said. * 10% of the health bill comes from fossil fuel particulate pollution. Even in cleaner western nations with stricter laws on coal stack scrubbers, there is still a horrible price to be paid when it comes to burning coal. The annual health bill is up 10%. It doesn’t sound like a lot, but when you realise that 10% of the health budget practically equals the whole ENERGY budget, you realise that energy is really costing society DOUBLE what consumers are paying. So on top of the $500 BILLION in subsidies a year, energy companies are getting another 100% bonus ‘externalised’ to the health departments of the world. In other words, governments should be taxing energy another 100% on energy costs just to pay the health bill. Guys, wake up. The ‘free-market’ for energy is a joke. There is no such thing. But there is another way. We could learn from the French. 1. Be HONEST about our already existing socialist energy market. 2. The French rolled out government funded nuclear energy and decarbonised their electricity sector in 11 years. They have one of the most reliable grids in the world, and export more clean electricity than any other nation. 3. Today’s GenIV nuclear reactors eat waste! The Chinese are about to roll them off the production line so fast and cheap (and safe, with safety standardised on the factory floor!) that they will compete with the consumer cost of coal. Real, live, waste-eating GenIV reactors off the production line: cheaper than coal. 4. If we did it, our health bill would go down 10%! So lets admit it: fossil fuel corporations don’t need our pity. They deserve our wrath. How big are the DIRECT subsidies in Australia? The following article illustrates one of the fattest pork barrels in history! The Institute for Sustainable Futures at the University of Technology, Sydney, ran the following report in the SMH. GOVERNMENT subsidies to some of Australia’s electricity generation companies are so big they exceed the profits made by those companies, a report on energy and transport subsidies says. Government support for the coal industry and coal-fired electricity is so generous that in some cases it has led to the construction of coal-fired power plants when other types of electricity generation would have been cheaper, the report by the Institute for Sustainable Futures at the University of Technology Sydney has found. Subsidies to fossil fuel energies, worth close to $10 billion, result in a serious market distortion, create an unfair disadvantage to renewable energy, and help increase greenhouse gas pollution, says the report, written by the institute’s research principal, Chris Riedy, and commissioned by Greenpeace. Also note where the subsidies go. Road users benefit most from the subsidies, with about 74 per cent of taxpayer funds supporting fossil fuel industries flowing to the transport sector. Another 18 per cent goes to electricity generation and 8 per cent to other kinds of stationary energy. 3 Responses to Remove subsidies to fossil fuels! Government isn’t going to stop slipping dollars ($) to fossil fuel vendors as long as this enables it to get tens ($10) and twenties ($20) back from fossil fuel users. It is very unlikely that the past 20 years’ flushage on renewable energy is anywhere near as little as $50 billion, simply because the public petrodollar booty from which this money necessarily comes has, in that interval, been on the order of a double handful of trillions (1000000000000s, thousands of billions) of dollars. It has seen fit to spend a lot more of itself than $0.05T on greenwash. Government is the farmer, fossil fuel vendors are the kine, taxpayers are the grain. Reducing subsidies to the vendors amounts to binding the mouths of the kine. If it happens, and as a result they tread less, the farmer will promptly unbind their mouths. Reducing fossil fuel taxation is like pressing on the brake pedal; reducing fossil fuel vendor subsidies is like missing the pedal and stomping on the firewall. You can stomp really hard without much effect on the car’s motion. The link I gave refers only to oil, and only to oil that is transferred from OPEC countries to G7 countries. How much money do your various levels of government make on domestically extracted natural gas? Yes, 2 good points. Governments are as addicted to revenues from big oil and king coal as these mega-corporations are addicted to the handouts and kickbacks from government. Whether or not removing subsidies is achievable the point of this post is to explain to anti-activists like Galloping Camel (over on BNC) why targeting government with lobby groups is necessary: we simply don’t have this mythical creature Camel believes in called ‘a free market’ for energy. It doesn’t exist. When coal fired power plants are getting built that otherwise might not be competitive, we can see that the marketplace has been utterly distorted and tricked by government subsidies.